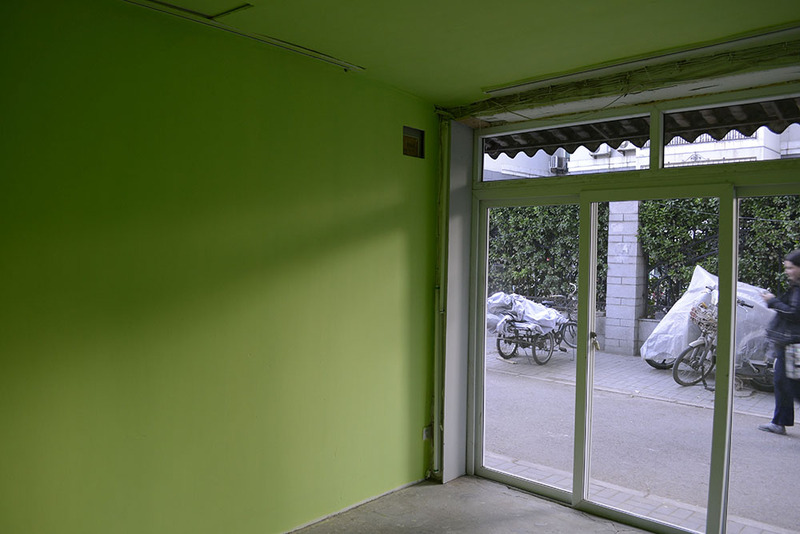 Spring has arrived, and inside the less than 10-square-meter storefront on Beijing’s Jianchang Hutong, there is nothing. With clean and bright glass doors, the small room faces west. Behind, branches of an old elm tree are interlaced; its shadows fall onto the antique slanted tiled roof. There have been two or three cold spells, yet the spring breeze is getting warmer each day. 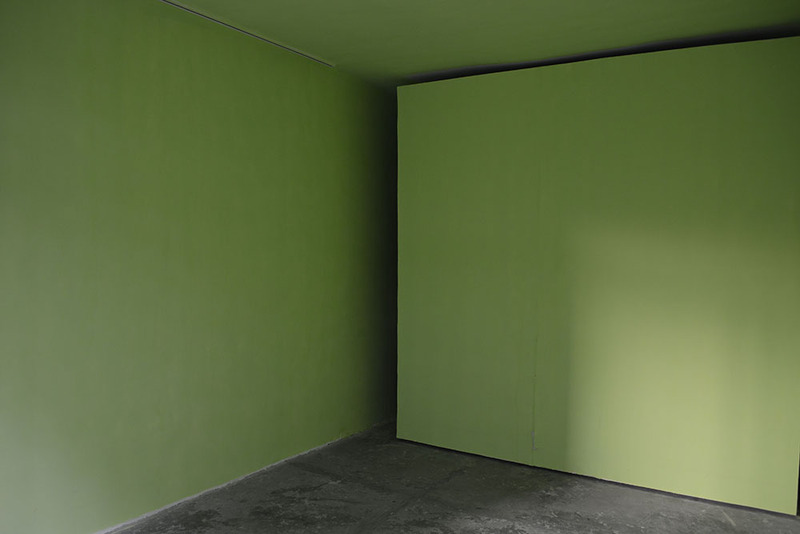 The clean and bright empty room is becoming greener day after day, as is everything else around. 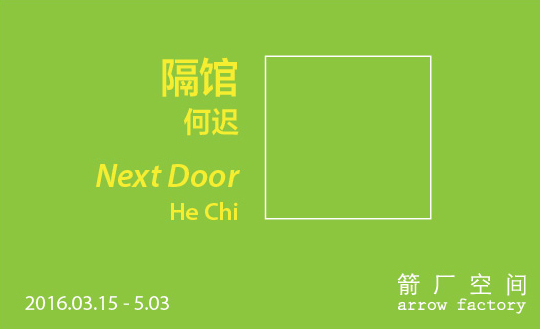 Arrow Factory is pleased to present a new time-based project by artist He Chi. Taking chromatic queues from the formidable elm tree that sits just behind Arrow Factory, He Chi will be continually matching the interior of the exhibition space to the tree’s emerging spring foliage. 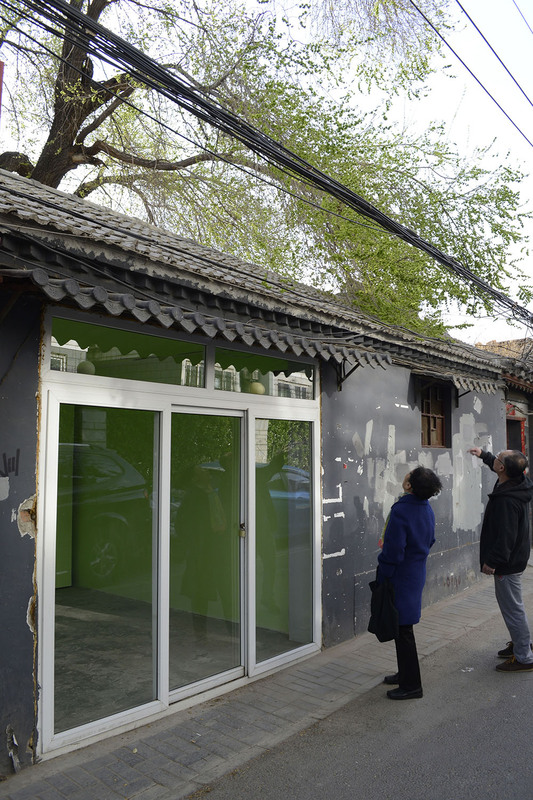 The daily ritual of painting and re-painting the three walls and ceiling will correspond to and highlight the subtle changes of Beijing’s shifting seasons. The work is best seen during the day as it is designed for viewing under natural light conditions. He Chi (b. 1978, Tong Wei, Gansu) is a graduate of the Chinese Painting Department of Xi’an Academy of Fine Arts. His multidisciplinary practice spans various mediums including painting, video, sculpture and performance. He Chi is a member of both the Nanshan Painting Group (南山绘画小组) and Xiong Huang Group (雄黄社), which are artist collectives engaging in creative interventions on publically accessible sites. 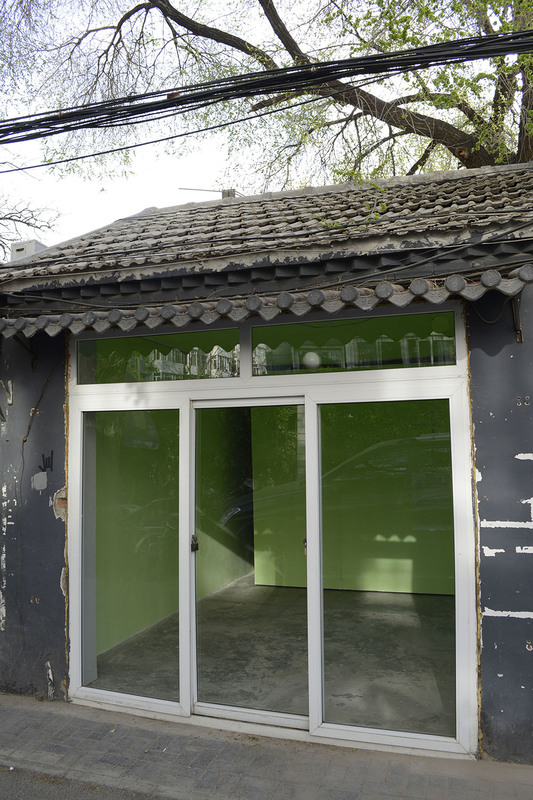 One of the co-founders of the We Said Let There Be Space And There Was Space (2012), He Chi’s work has been exhibited at the Ullens Center for Contemporary Art; Groninger Museum, Netherlands; Times Museum, Guangzhou; Shanxi art Museum, Xi'an and the Musee d'Art Contemporain de Lyon, France. He currently lives and works in Beijing.